Governor Cuomo announced $17.2 million in state awards to 26 academic medical institutions for the training of new clinical researchers working on cutting-edge biomedical research. Albany, NY - August 27, 2015 - Governor Cuomo announced $17.2 million in state awards to 26 academic medical institutions for the training of new clinical researchers working on cutting-edge biomedical research. These awards, administered over a two year period through the Empire Clinical Research Investigator Program, are vital to helping New York both attract new researchers and solidify itself as a national biomedical research hub. "Some of the world's most exciting and groundbreaking medical discoveries have been made possible by research done in New York medical institutions and laboratories," Governor Cuomo said. "This investment will help train the next generation of researchers, helping to ensure that the Empire State remains on the cutting edge of innovation." The Empire Clinical Research Investigator Program provides funding for clinical and population-based research specific to an institution's community and allows those institutions to hire researchers for critically important projects that represent a strategically important area of growth for the institution. 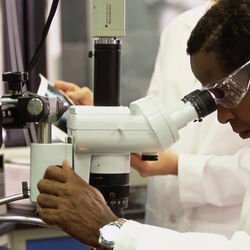 Over the next two years, more than 86 physician researchers will be trained as a result of this funding in diverse research fields, including: heart and kidney disease, traumatic brain injury, human cancer genomics, health information technology, population health, and stem cell therapy. Once program researchers conclude their training through this program, they will be well prepared for careers in research. The program supports two types of awards -- team-based Center Awards and Individual Awards. Center Awards provide funding for teaching hospitals to form research teams focused on a specific topic, disease, or condition. This will not only further the development of clinician researchers, but also give these hospitals a foundation from which they can seek additional funding from the federal government to build upon their work. The Empire Clinical Research Investigator Program was first created in 2000 upon the recommendation of the New York State Council on Graduate Medical Education, an advisory body of medical educators within the Department of Health that provides policy advice relating to medical education and training. Almost $103 million has been awarded since the program’s inception, including the awards announced today. For more information on the Empire Clinical Research Investigator Program visit here. Subject: LongIsland.com - Your Name sent you Article details of "Governor Cuomo Announces $17.2 Million to Bolster Biomedical Research in New York State"